10 years ago on 7/7/7, Marissa and I thought it would be fun to stay at the lake and head to the casino to try our luck (7s are lucky, right?). We headed there with her friend, Ashley, and we found that the water at the lake was murky and green and stinky. 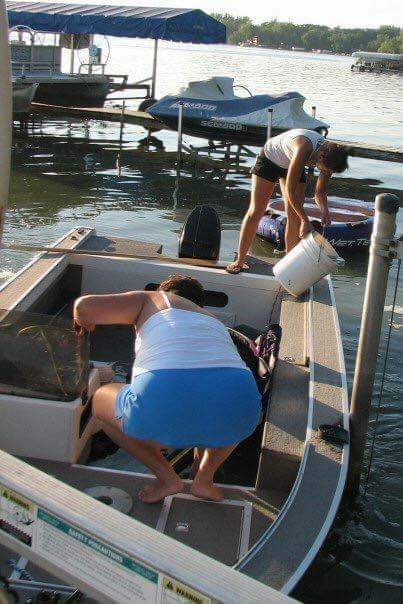 We decided to take out the boat – something I’d never done on my own – and we got instructions about how to do that. We took the boat to the middle of the lake where the water was clearer, the girls could swim, and we could breathe in the air. We brought the boat back up to the dock to make lunch and when we next looked, the boat was sitting on the bottom of the lake (which is less than 3′ deep at that spot) filled with that green stinky murky water. The plug had fallen out somewhere during our ride and the boat filled with water. Family back home was chuckling while we were buckling down to put in a new plug, bail the water out and then hose down and bleach out the boat. And remember, the lake water is murky and stinky and green. Ugh. Needless to say, I haven’t taken the boat out by myself since – and really have no desire to! 7/7/07 was not a lucky day for us! And 3 years ago on this day, Chris and I got engaged (7/7/14 – 7+7=14!)! We drove to Cabela’s and sold some of his guns for cash and then went ring shopping. The ring I’m currently wearing is the one that I first tried on. We looked in a few other stores but I was always looking for this ring. 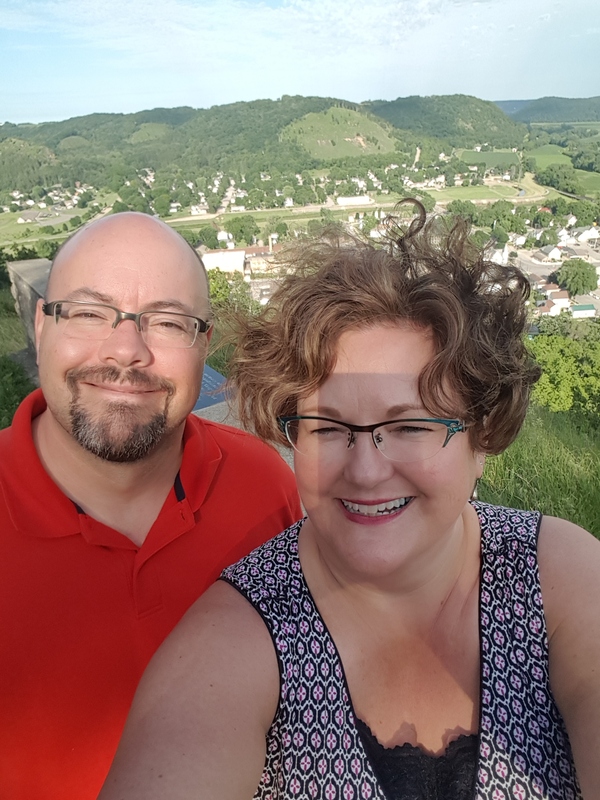 Today we are both going to work after another week off – a week filled with more organizing and settling in our new house, with family time at the lake, and our first dinner guests. Looking forward to more continued goodness!